Humla, bygg og maltþykkni ætlað í 25 lítra. Hálfdökkur bjór, frískandi og frekar kraftmikill. Bright golden colour with a strong head. Pleasant blend of fruit and malt on the nose with generous mouthfeel and a moderately bitter finish. 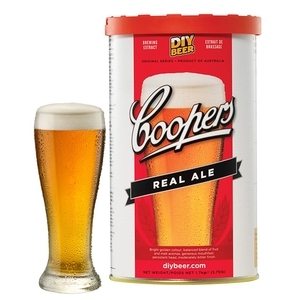 A good example of a Coopers' Traditional Ale.